I ordered a fat quarter bundle of Lotta Jansdotter's Glimma a while ago with no particular project in mind, just because I loved the prints and the colours. Then a couple of months ago, Elizabeth Hartman of Oh, Fransson! 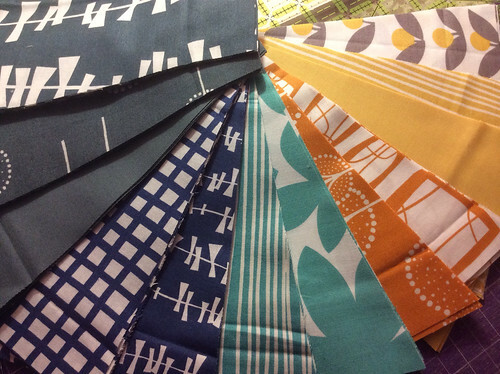 published the New Wave pattern and I knew the Glimma fabric bundle was destined to become a New Wave quilt. 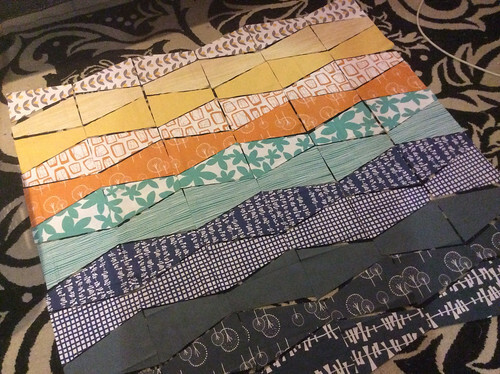 Yesterday was grey and rainy in my neck of the woods so I got started cutting into my beautiful Glimma bundle. 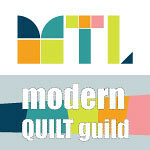 Last night was the last meeting of the Montreal Modern Quilt Guild before the summer break. We had our annual pot-luck dinner, garage sale, show and tell and we had a zipper pouch swap. 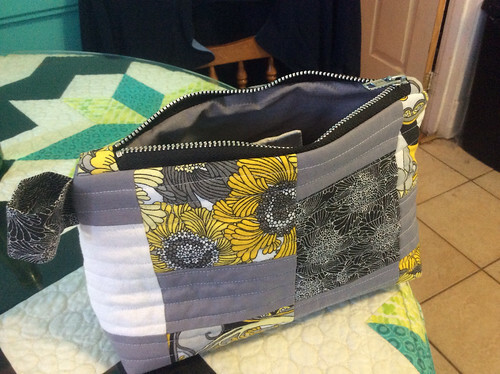 I made my zipper pouch based on this tutorial. 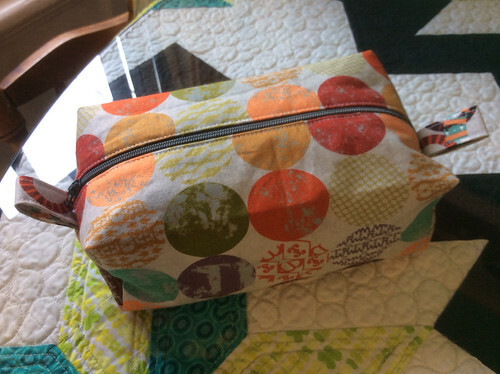 I used a couple of Juggling Summer fat quarters by Zen Chic. We don't assign partners, we just bring our item in a brown paper bag so everyone who makes one, also gets one. No disappointment! I ended up picking the pouch made by Stephanie and I love it! The colours are right up my alley! 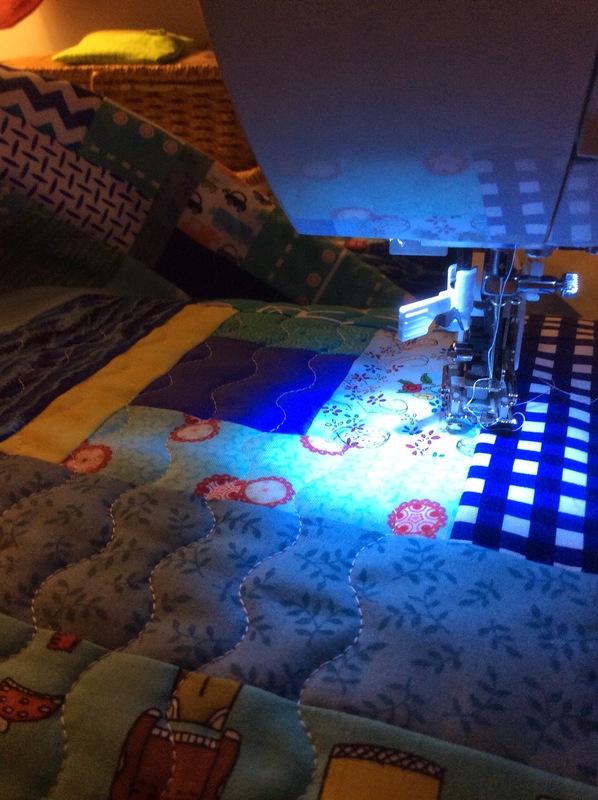 Do you belong to a quilt guild? Do you like swaps? What other activities does your guild organise? 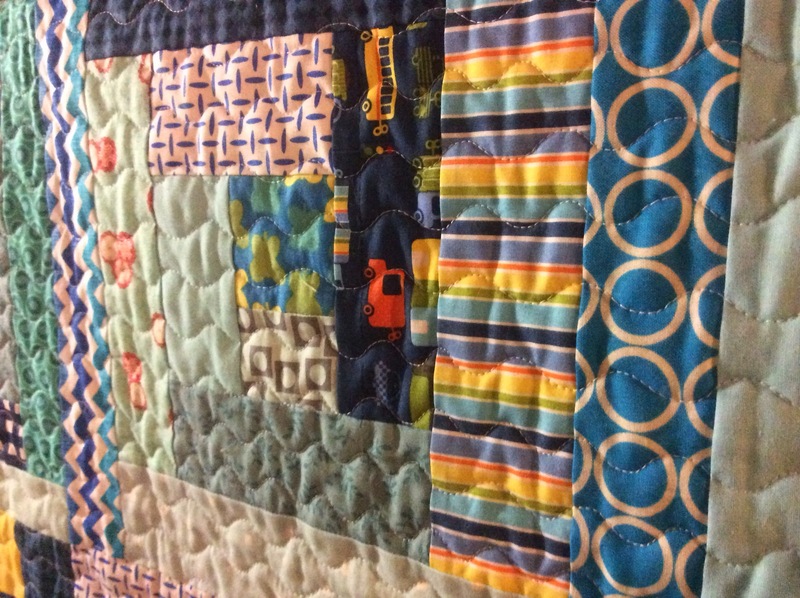 Linking up at Crazy Mom Quilts and My Quilt Infatuation this week! 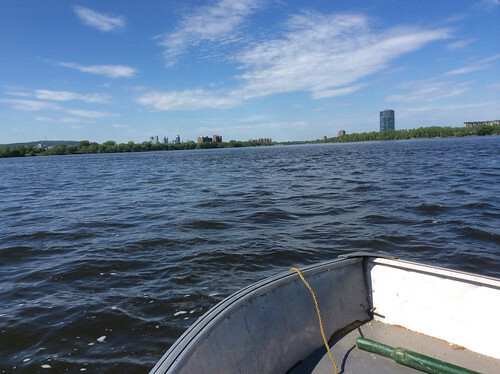 There are so many fun and interesting things going on in Blogland these days, I thought I would post about a few of my favourite things from the last week. Over on the Craftsy blog, you can find two free patterns for your sewing room: a sewing machine organizer and an ironing board cover. On the Moda Bakeshop, the Moda chefs are putting together a really fun QAL they are calling the Trifle Dish Sew Along. 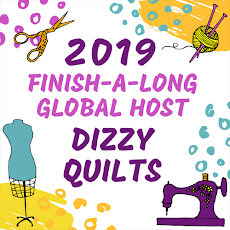 This last week, layer 3 was posted, but this QAL goes on until early July, so plenty of time for you to get caught up, if you want to. 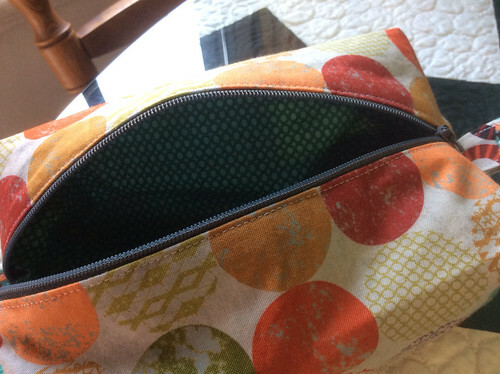 If you're on the market for a new lunch bag, then you might want to go over to the Sew Mama Sew blog right now and get the free tutorial by Sherri of Thread Riding Hood. The fabric she chose for her lunch bags is stunning! Is your stash out of control? Are you looking for help organizing it? If so, hop on over to A Quilting Life. Sherri has a new series on her blog to help you get organized. You might to check out her posts even if you don't think you need help... She's got amazing eye candy on her blog! 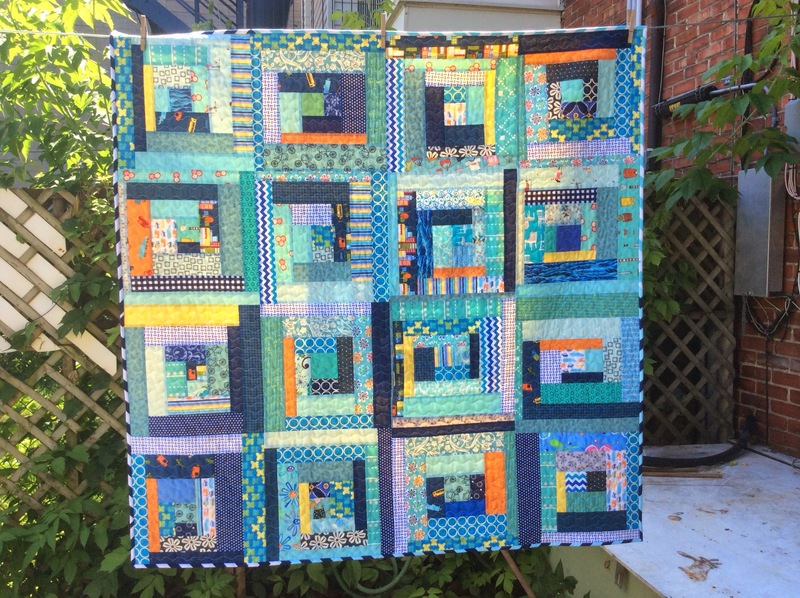 Jessica from the blog Quilty Habit is curating a series of posts titled My Favorite Quilt over at Sew Mama Sew and this one really caught my eye this week. 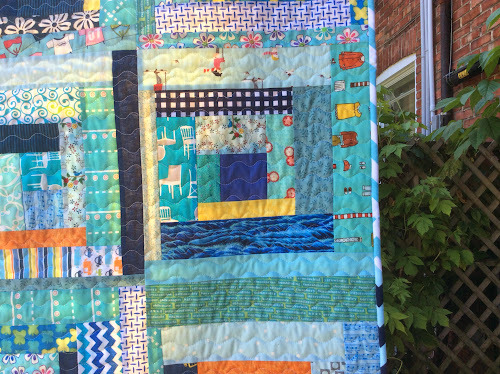 This quilt by Rachel Singh is simply gorgeous! And just because I don't like posting without pictures, here is a snapshot of what I've been doing with my weekends. 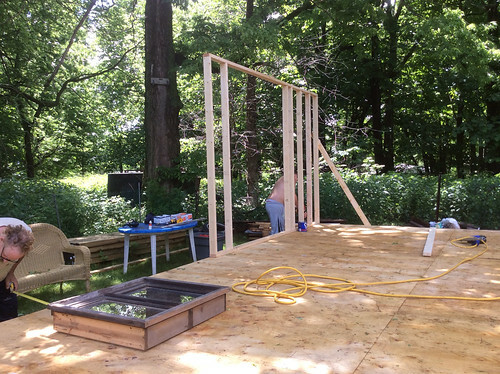 My sweetie and I are building a new summer cottage on Goat Island in the middle of the St-Lawrence River! I couldn't believe that my last finish post was back on April 24!!! What the heck have I been doing for the last 2 months?! 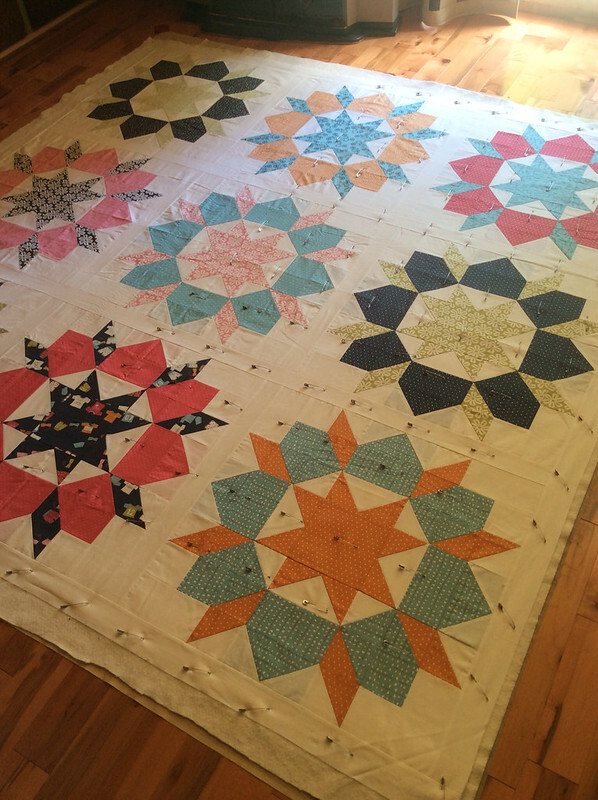 Anyhow - I do have a finish to share today! Yay! 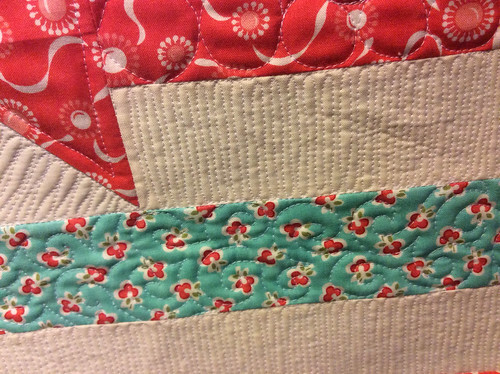 Late last night, I put the last stitches on the binding of my Nested Churn Dash mini quilt. First, let me apologize for the bad photography... It's nasty grey and rainy here today so had to take pictures in my basement. 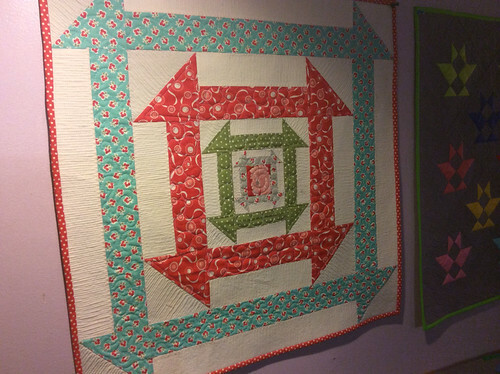 Pattern designed by Quilt Jane. You can see everyone's Nested Churn Dash on Instagram by using #nestedchurndash. 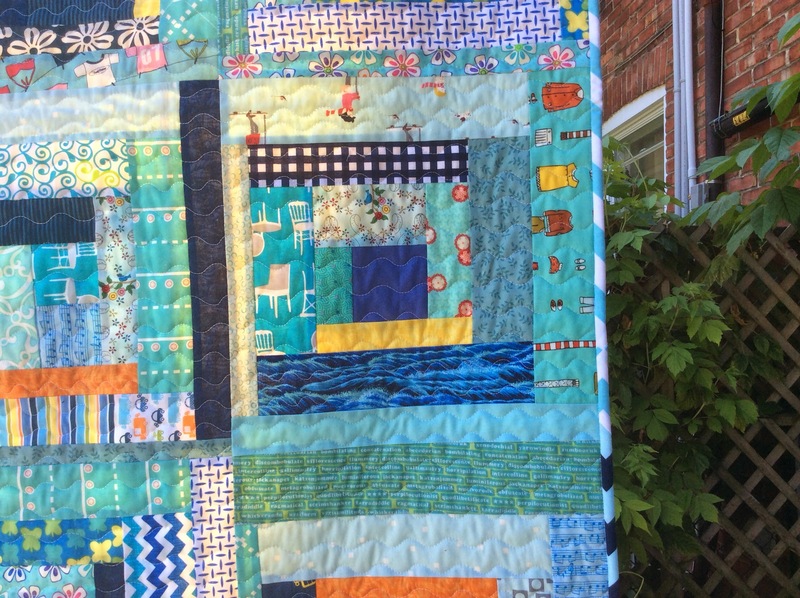 There are some stunning examples of this block used in big quilts. I'm thinking I might have to make one too. For my mini, I chose to use scraps of the Vintage Modern collection by Bonnie and Camille with some Kona Snow as the background. The binding is a Fig Tree & Co print from the Avalon collection. 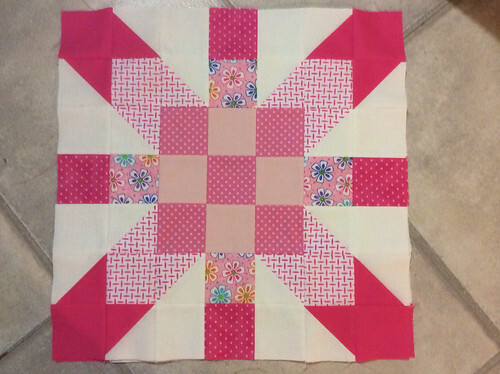 For the quilting, I decided to try a few different designs. In the inner rounds, I used circles and pepples on the printed fabric. I really wasn't crazy about the circles, so I went with something a little bit different in the outer round: some swirls. On the background fabric, I quilted some dense back and forth lines and I am in love with the texture! It feels really good to finally have something finished to share with you. 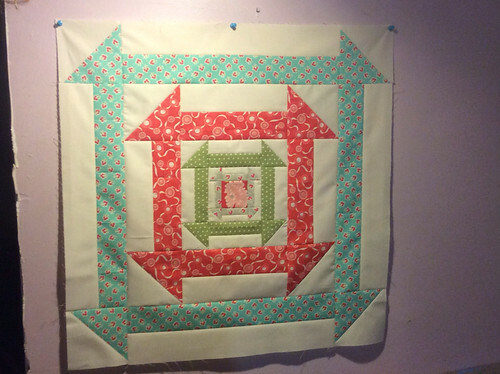 My Nested Churn Dash mini is now proudly displayed on the wall of my sewing room with my other mini quilts. 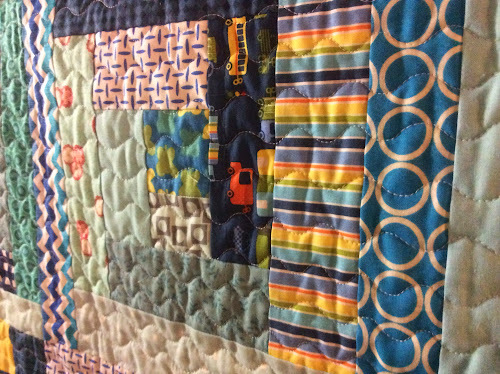 Linking up to Crazy Mom Quilts, My Quilt Infatuation and TGIFF. I've been spending quite a bit of time in my sewing room lately, working on QAL projects, charity quilts and finally basting my Swoon top. 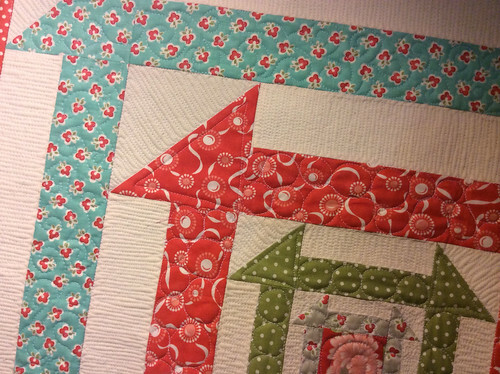 I will be linking up at Lee's for WIP Wednesday, so let's get right to it shall we? First up is the Supernova Swap I signed up for. I decided to go with the pink stack of fabric for block number 1. I also wrote my list of 25 things my partner doesn't know about me so this block will be making its way to Julie tomorrow morning. 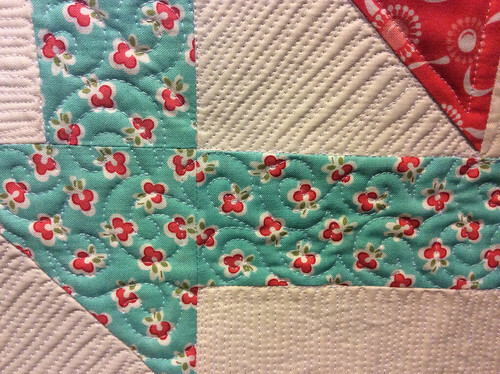 Then, I worked on a mini quilt using the Nested Churn Dash pattern from Quilt Jane. I used my Vintage Modern scraps and some Kona Snow for mine. If you want to make your own Nested Churn Dash mini or make a large quilt using this block, you can purchase the pattern here. There is also a QAL going on right now. 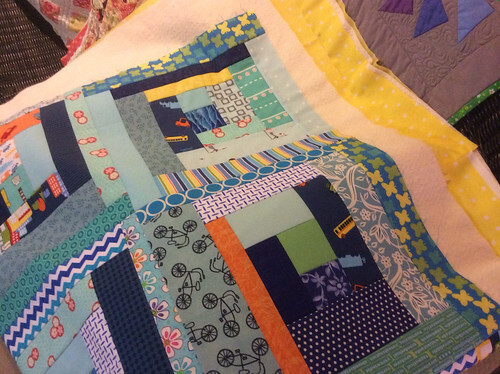 Get all the info on the Quilt Jane blog. I basted and started quilting my Nested Churn Dash mini quilt over the weekend and should be able to post pictures of a finished quilt by the end of the week. 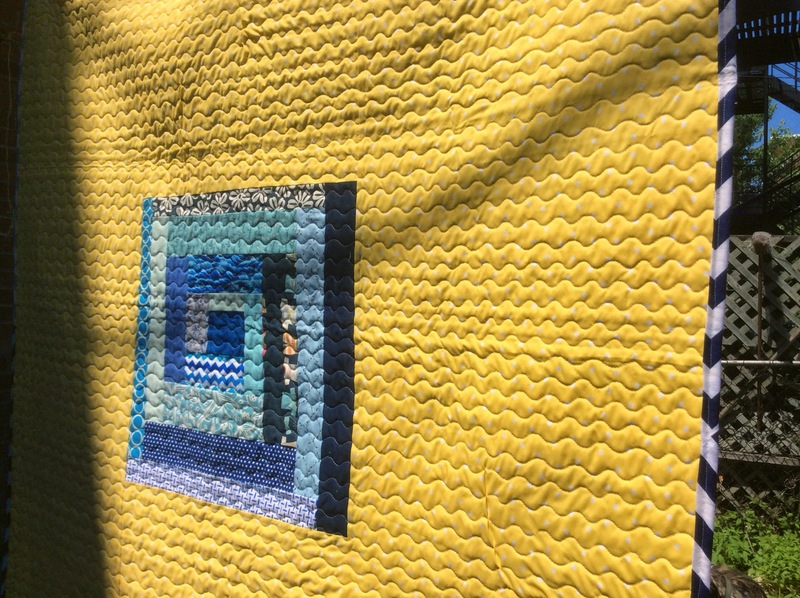 And finally, I got through the basting stage on 2 quilts: my modern log cabin quilt for charity is now ready for quilting. See the super bright yellow backing fabric? I'm having second thoughts about it... It is really BRIGHT! And I got my Swoon top basted! Yay for me! Almost an hour spent on my hands and knees basting this beast. But I am super excited to start quilting! And that is what I've got going at the moment. What about you? What kind of week are you having?